2018 has flown by, and the Festive Season is just around the corner. Now is the perfect time to order your Branded Promotional Gifts for your Clients, Customers and Employees. Here we list our favourite models for the Christmas period, some of which are fresh off the production line! Christmas by name, Christmas by design. 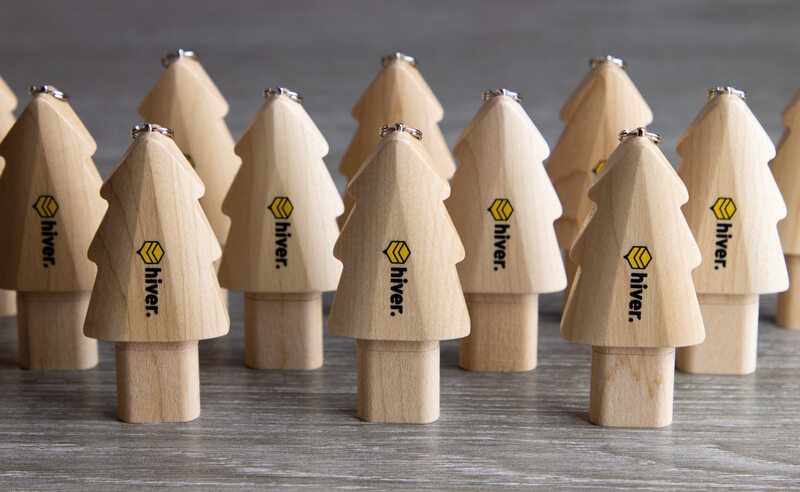 This stunning tree-shaped Flash Drive can hold up to 128GB of data and can be Screen Printed or Laser Engraved with your logo. Grab them whilst they’re still in stock. 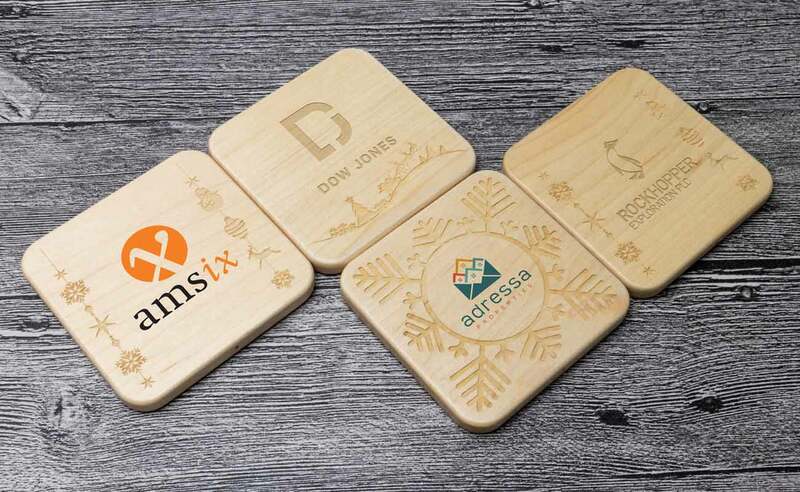 Choose from four festive patterns that are Laser Engraved onto each unit. 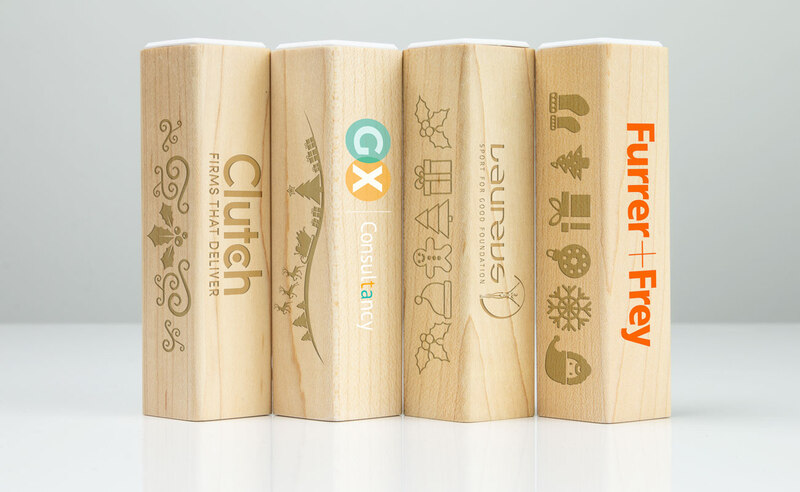 You can then Screen Print or Laser Engrave your logo on the available branding space. A great gift that will be used daily. Choose from the Small, Medium or Large sizes. 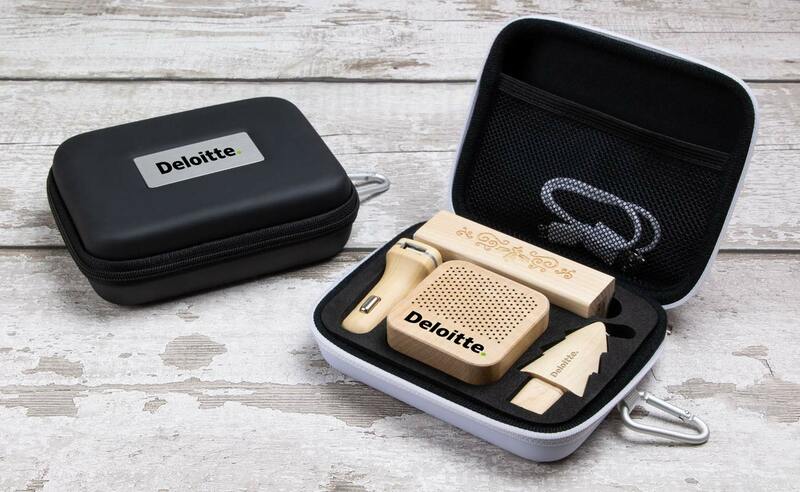 Each Gift Set contains carefully curated products that can be branded with your logo. The beautiful metal plating on the Gift Case can also be branded with your logo or message. Of course, our other models also make perfect Corporate Gifts at this time of year. You can view our Festive Favourites here or our entire range here. Simply fill out our Quick Quote Form and one of our helpful Elves will be in touch as soon as possible. We can email you prices immediately and also post free samples via next-day delivery.